Step into the lobby of Heyground and it‘s like falling through a rabbit hole. The building’s sleek tile floors, stylish neon signs and hoodied entrepreneurs zooming around on electric scooters seem worlds apart from the surrounding industrial sights of Seongsu-dong in eastern Seoul. Heyground is a co-working space rented out by Root Impact and let out to social ventures looking for a home. Social ventures, which seek to solve social issues through business strategies, are able to use the offices and network with other like-minded people. Around Root Impact, employees joke that any young person walking down the street is probably part of a local social venture. In addition to Heyground, the area also houses Understand Avenue, a cultural complex that provides support for young entrepreneurs and artists, Sopoong, which invests in and incubates social ventures, and Crevisse, an impact venture group. “To put it simply, we are an organization that supports the work, life, and learning of these changemakers,” said Jang Sun-moon, Root Impact‘s director of marketing. Root Impact was co-founded in 2012 by Chung Kyung-sun, the grandson of Hyundai Group founder Chung Ju-yung, and Heo Jae-hyong, a former consultant. In a June talk on the lecture program “15 Minutes to Change the World,” Chung said that he discovered “changemakers” — people who dedicate themselves to helping others — when he was feeling jaded about a world that seemed to value people based solely on their utility. “I felt that if there were more changemakers in the world saving people who were being persecuted and discriminated against, I could be saved as well. That was when my goal in life became helping these changemakers,” he said. 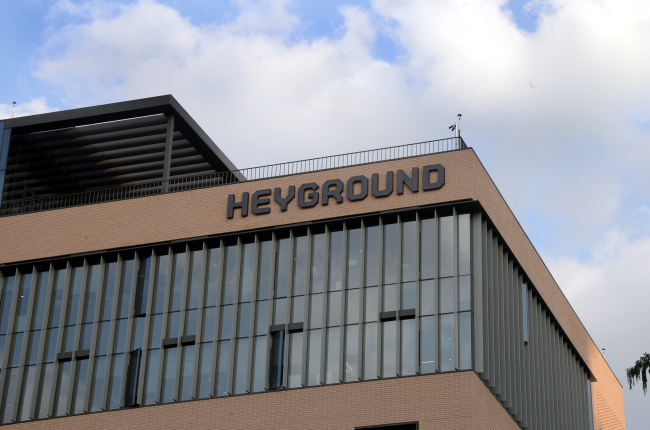 Heyground, which opened at the end of June, is the landmark of that work. Starting in 2015, Root Impact began to recruit social ventures to collectively come up with the concept and organization of Heyground, reflecting what social ventures truly felt they needed to thrive. The eight-story Heyground building was built by Hyundai Investments through a fund of 25 billion won ($22.2 million). The building is rented by social venture investor HG Initiative, also led by Chung, Root Impact and the Korean arm of the nonprofit organization Ashoka. Roughly 500 people affiliated with 45 companies currently work at Heyground, making use of its offices, photo studios, meeting rooms and event halls. The social ventures’ goals range from raising awareness about the women who were forced into sexual slavery by the Japanese Army to helping goat farmers in Mongolia receive fair compensation for their high-quality cashmere. Most entrepreneurs here are in their early to mid-30s, and the number of employees range from one to 140. 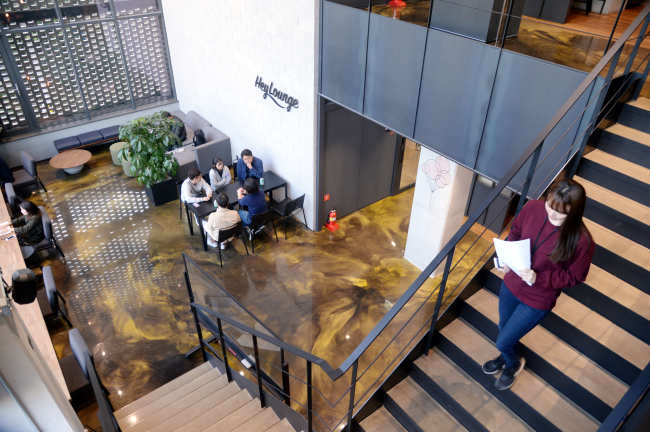 In addition to Heyground, Root Impact also runs share houses for the entrepreneurs and their employees, with two branches in Seoul and a new branch in Las Vegas, Nevada, that opened in June in cooperation with Downtown Project, a similar organization in the US. Root Impact also connects social ventures with financial and legal consulting services, and runs matching programs funded by companies like JP Morgan and Google to help train future changemakers. According to Jang, all these efforts are aimed at creating a community of changemakers. “These ventures are not like IT ventures that are looking to make a high-priced exit. They are trying to solve foundational problems in society, so it’s hard. They need a kind of shield around them, and building a community does that for them,” she said. Despite the growing number of social ventures and support systems to incubate them, there are still significant challenges faced by the entrepreneurs, according to CEO and co-founder Heo. “Until now, the ecosystem has focused on the investment and support in the beginning stages of these ventures. We hope that future developments will allow social ventures to jump to the next level of growth,” he said. Perception is also a key issue for social ventures. “Many people think that there must be a trade-off between social value and financial value. It is undoubtedly hard to pursue both goals, but we are seeing examples around the world that demonstrate it is possible. This is an unnecessary prejudice on the side of investors, and creates a hurdle for funding social ventures,” Heo said.